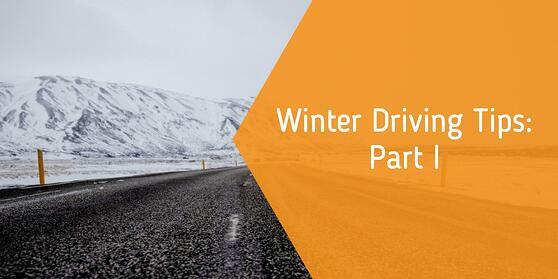 We've told you how to winterize your car, so your car should be ready. But what about you? Are you up to the challenges this season will bring to the roads? Since we’ve had our first taste of winter weather, I thought it appropriate to share a few tips for making your winter weather driving safer, The best advice is to wait it out if at all possible. Wait until the roads are cleared before you get out on the roads. But if you do decide to travel while the snow is falling and piling up on the roads and obscuring your vision, here are some things you can do to minimize the risk. Clear off your entire vehicle before leaving. Snow and ice flying from your vehicle can blind drivers, damage vehicles, and increase the likelihood of causing a collision. In Connecticut, we drivers can be ticketed for not cleaning off their vehicles properly. Plan your trip carefully. Stay on main roads. Take the least hilly route even if it takes longer. Leave early and plan for double your usual travel time. Avoid spinning your tires. To get moving on snow use a gentle foot on the gas. Spinning tires dig deeper into the snow and the heat from spinning the tires melts snow, which will only end up turning back into ice once your tires stop moving. If you get stuck try rocking forward and back gently. By shifting from reverse, to drive, to reverse, to drive, and so on, you can often gain the momentum needed to get out of most messes. Drive slowly. Once you hit the road roads drive at a reduced speed, slow more for turns and curves, brake sooner and more gently for stops, and increase the distance you leave between your vehicle and the on in front of you. On snow covered roads reduce you speed by half the limit at least. Keep your distance. In addition to slowing down, give at least five seconds of space between your vehicle and the one in front of you. To check the distance between you and the vehicle in front allow the vehicle ahead to pass a stationary object and count how many seconds it takes you to reach that object. Five seconds will look like a absurd amount of space to most drivers but the principles used to determine how much space to give are based on physics, the ability of your brain to make a decision to stop or steer, the average human reaction time, and braking distance on a slippery road surface. So if you absolutely have to drive in the snow or wintry conditions, remember these tips to make your trip easier and safer. Stay tuned for part 2, where I'll offer some tips on parking in a snowy lot and tackling slick hills. Safe journeys! Want to get your license in time for a summer road trip? Enroll today with The Best Driving School in Connecticut!